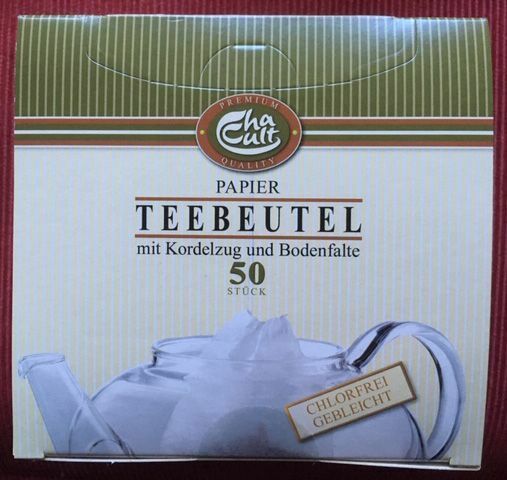 Compostable Tea Filters by Cha Cult - Made in Germany, 50 tea bags per box. 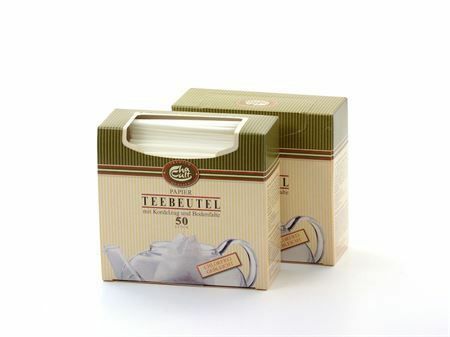 The drawstring facilitates a clean preparation of your tea. Just fill tea into the filter holding the string on one side, then pull the string on the other side to close the filter and use like a tea bag.